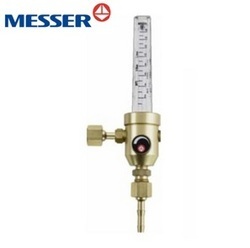 We offer Flow Meter for Argon / CO2 Welding gases up to 25 lim/min scale range. The flowmeters are imported and are being offered to our different set of customers. - Available in 1 Pcs/Pack. - Suitable for Argon / CO2 Welding Applications. - 50 Pcs / Box packing. - Material: Body made from forged brass & tube made from acrylic. modern day Argon Flow Meter. Furthermore, our customers can avail these products in various technical specifications. Our company has been successful in winning appreciation from the clients as one of the most prominent names in supply of Argon Flowmeter. With our expertise and trustworthiness, we are engaged in offering an optimum quality range of Argon Flowmeter. We precisely manufacture and supply high quality Argon Flow Meter to meet various industrial requirements. With the use of optimum resources and expensive tools we give them perfect accuracy and design. The stainless brass metal are used to makes them highly durable. They are resistant to corrosion and can perform efficiently. We are a unique entity in the industry, actively committed towards offering the best quality range of CO2 Argon Flow Meter. Our reputed entity is engaged in supplying Argon Flowmeter. 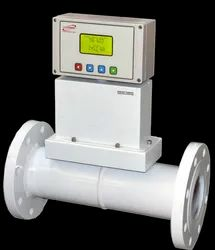 We are providing Argon / CO2 Flow Meter & Regulators at competitive price. Material : Made from transparent poly carbonate. Applications : Improves welding quality and gas consumption.